After many years selling RO Systems, we have listened to what our clients have relayed to us and what they felt was the most important thing in their eyes. We have obtained a clear and understandable message: Quality, Reliability and Efficiency. Our commitment is to continue supplying the best water filters, at the right price with an excellent service. We are increasing our range of RO filters systems, to offer the ultimate selection of water filters to customers who are ready to invest in a kitchen appliance combining high water treatment performance, long durability and modern design. 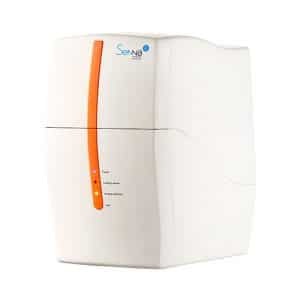 The Senna 2.0 Reverse Osmosis system is ideal for those wanting the highest quality water possible. This modern, stylish system will improve the taste of tea, coffee, diluted beverages, and everything cooked in water. The Stella RO Unit is a superb quality 5 stage water filter system, offering the very best in water filtration, perfect for cooking and washing fruit, making coffee or tea, preparing feeding bottles and much, much more. 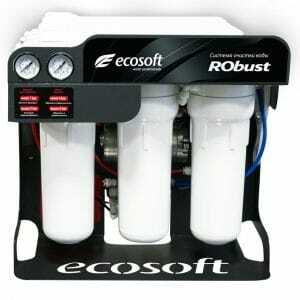 The Ecosoft RO Water Filter System gives unlimited pure water on tap. The water passes through a pre-filter which takes out particles larger than 5 micron. A carbon filter then removes chlorine, cysts and trace organics before passing through a 1 micron filter. The RObust system is a light commercial water filter system. It is perfect for Cafes, Restaurants, Pharmacies, Labouraties etc. and can produce 1 Ltr/ min. upto 1440 ltr/Day. How Do RO Systems Work? At CWS we provide an extensive range of reliable, highly specified reverse osmosis water filter systems. Reverse Osmosis Systems are used most commonly to purify drinking water. It does this by removing salts and other impurities to result in improved colours, better taste and improved properties of the water. Reverse Osmosis systems employ a mixture of conventional cartridges and cross flow membranes with 3 to 5 filter cartridges combinations. Reverse Osmosis (RO) uses a semi permeable membrane. This semi permeable membrane allows the fluid that is being purified to pass through the membrane. As it does this, it rejects the contaminants that remain. It utilises a technology known as cross flow. Cross flow allows the membrane to continually clean itself off. As fluid passes through the membrane, some of it continues downstream. This causes the rejected and unwanted particles to be pushed away from the membrane. RO requires a strong driving force to push the fluid through the membrane. Most reverse osmosis systems require a booster pump to force water through exceptionally small pore sizes in filter cartridges and membranes at high pressure. This ensures you only get pure drinking water. What Do RO Systems Treat? Reverse Osmosis systems successfully treat water with dissolved minerals and metals such as aluminium, arsenic, barium, chloride, chromium, copper, fluoride, magnesium, iron, lead, manganese, mercury, nitrate, selenium, silver, sulphate and zinc. Effective with asbestos, many taste, colour and odour producing chemicals, particulates, total dissolved solids, turbidity and radium. When using appropriate active carbon pre filtering (commonly included with most RO systems), additional treatment can also be provided for such volatile contaminants as as benzene, MTBE, trichlorethylene, trihalomethanes and radon.